Planning and hosting a party can be challenging and at times, overwhelming. 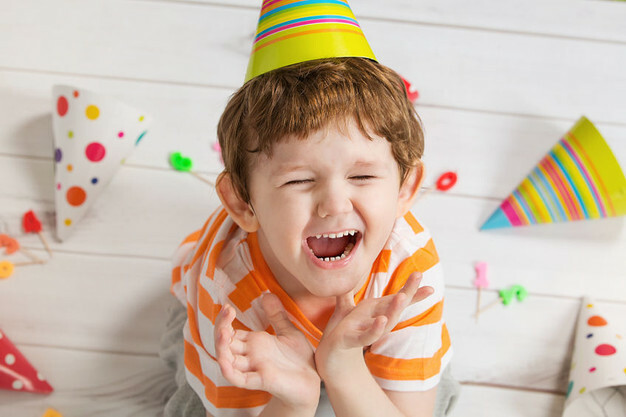 In particular, parents can feel terribly stressed about wanting to create the perfect party atmosphere for their children's birthday parties. The modern world of social media has seen an influx of photographs depicting glamorous parties at every turn. Even 1st birthday parties are often held at 5-star venues, are professionally catered, show off multi-tier cakes custom designed by award-winning chefs, and provide entertainment that is way over the top. But there's no pressure, right? Now, there is a growing trend toward more personal, DIY parties, just like they used to be. Like they're meant to be. You can create a fun, beautiful and most of all, memorable party without breaking the bank, or stressing about keeping up with the Jones's. One of the quickest, easiest and most affordable ways of creating a stylish party is by purchasing party printables for your party invitations and party decorations. 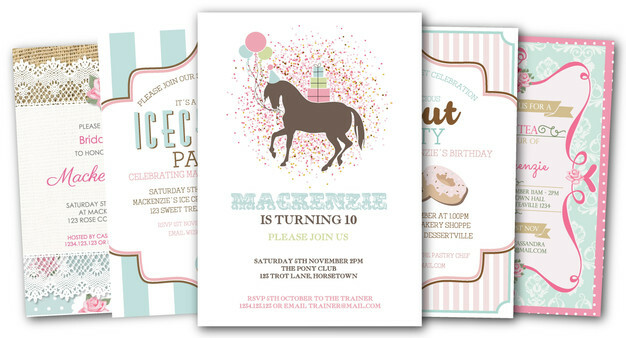 Party printables are different to ordinary paper invitations and party decorations. 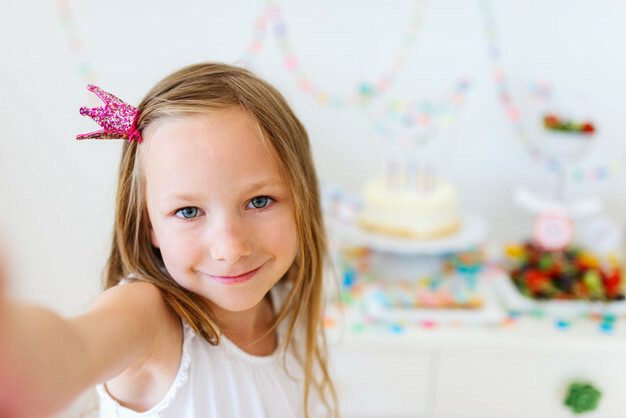 Party printables are digital files designed for you to print at home after purchase, on your own home printer, or to be sent to a professional printer. They are mostly available to purchase from online stores and online markets, such as Etsy. Party printables are a great option for those who like to DIY plan and host their party celebrations. Using party printables to decorate your party, you can enjoy the personal touch of doing-it-yourself, whilst still being able to create a stunning and unique party experience for your party guests (and take all the credit!). Designers who offer party printables often create a large range of products that can take you right through from sending your invitations, to thanking your party guests with favours and thank yous. One invitation and one party pack will provide you with everything you need to decorate and personalize your unique and memorable party celebration. You can create a gorgeous party with ease, and receive all the praise from your party guests! Party printables definitely provide benefits for those who want to DIY their parties. Let's explore what those benefits are. Low Cost. Party printables are a low cost option, as they are usually well-priced. Some designers offer individual pieces quite cheaply, but it is more often than not much more economical to purchase a bulk pack, which will save you money and make decorating your party venue much easier. Of course, you will have the expense of printing at home or professionally, and the job of cutting and assembling your printables. Even so, compared to custom design, DIY party printables are a very quick and affordable option, with the same end results. Quick. Party printables are either provided as instant downloads (can be downloaded to your computer immediately after purchase) or are emailed directly to you following purchase. For example, Party Printables offered by The Digi Dame Party Shoppe are available at our Online Shop and The Digi Dame Etsy Shop both of which offer instant downloads after purchase. This allows you to begin printing your party straight away, which is great if you are time-poor, or tend to be a bit of a procrastinator (yes, guilty as charged). It also eliminates any time-consuming to-and-fro with custom designers, or waiting for professional printers to process your order. Easy. Party printables are fairly easy to use. The non-editable varieties are extremely simple - you simply open the file and print on good quality card stock or photo paper of your choice. Editable varieties of party printables require you to add your own text, in order to personalize before printing. These are provided in PDF format and designers usually provide you with step-by-step instructions on how to use them. Instructions are included with every purchase, but instructions can also be found within our tutorial articles on the blog. Party printables usually come in two different formats - PDF or JPEG. JPEG. Most of the time, non-editable printables will come in PDF format, but they are sometimes provided in JPEG image format. This is often the case when the designs are so graphic-rich, that the designer saves them in JPEG for the purpose of smaller file size. This is because graphic-rich PDF's in high resolution are often too large to open and use easily, whereas JPEG format tends to be smaller in size, even when in the highest resolution for print. Most people will be familiar with the JPEG/JPG format. JPEG's can be opened without any additional software, and require no personalization or editing. Simply open and print! Tip: when printing JPEG format, make sure that your printer is set to print at the best quality for images. PDF. Editable party printables will always be provided in PDF format, in order to be editable. To open, edit and save editable PDF files before printing, you need to download and install Adobe Reader. Many people already have Adobe Reader installed on their home computer, but the latest version is required for editable party printables. Older versions do not work properly, and you will end up with font problems. The latest version of Adobe Reader is available FREE to download. Instructions on downloading and installing Adobe Reader can be found within our provided instructions and also via more tutorials on this blog. There are the usual precautions that we all take when making purchases online. 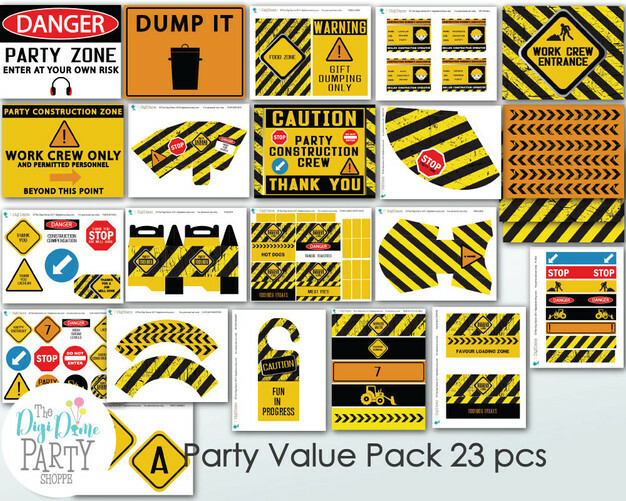 Beyond that, when purchasing party printables, there are some factors that you need to be made aware of, to make sure that you are purchasing the best quality and value for money. Let's look at some features of party printables and what to look for in a designer or online store. Professional and Original Design. When searching for party printables, make sure that the designer offers original designs that are their own work and do not contain copyrighted/licensed material, such as licensed characters e.g. Mickey Mouse or Sesame Street. Such designs are illegal, and may not be provided in the best printing quality. Check that you are purchasing from a professional designer, who creates their original designs in professional grade software. Adobe software is the world leader in digital design. Party printables designed in programs such as Paint or Corel Draw will not be the best quality. They are usually sold at the same prices as professional grade printables but tend to result in inferior products. High Resolution. Resolution determines how crisp and clear your printing results will be. Low resolution images may look good onscreen, but they are not designed for printing, and will give you fuzzy or grainy results. High resolution is required for printing. Ensure that the party printables that you wish to purchase have been saved at a resolution of 300dpi/ppi for the best printing quality. Support. Look for a designer or shop that provides you with helpful instructions on using their party printables, either in the form of a download, online article or on their website and/or blog. Check also that they are available to offer you support if you require it. You don't want to be stuck with files that you don't know how to use, without any further help. Support is especially important, because digital designers, as a general rule, do not offer refunds on purchases, since digital downloads cannot be returned to the seller or shop the way that tangible products can. For example, even though we do not sell custom items, we are always happy to assist a customer on the rare occasion that they are facing challenges using our party printables, and can provide personalisation at extra cost. We understand that one person may not be as computer savvy as the next person, and we want people to enjoy our creations without hassle or stress. We hope this article has given you some helpful information and clarity regarding party printables. We also hope that you have gained some inspiration and are now excited about planning your party! Using party printables to invite your guests and decorate the venue for your next party could be far more cost effective, quicker and easier than organising custom design and custom printing. For more information on how our printable party décor works, visit our How It Works Page.